On January 1, 2016, Hawai‘i becomes the first state in the nation to raise the legal age to purchase or consume tobacco products to 21. This is a crowning achievement for the Hawai‘i Public Health Institute, the Coalition for a Tobacco-Free Hawai‘i, and our many wonderful partners. As the brain is developing, it is much more susceptible to addiction. With 95% of all tobacco users beginning while under 21 years of age, this new law could have real impact on our youth smoking rates. It also could impact youth use of electronic smoking devices (ESDs; also called e-cigarettes), which are included under the Age 21 requirement as well as a second law going into effect January 1, 2016. 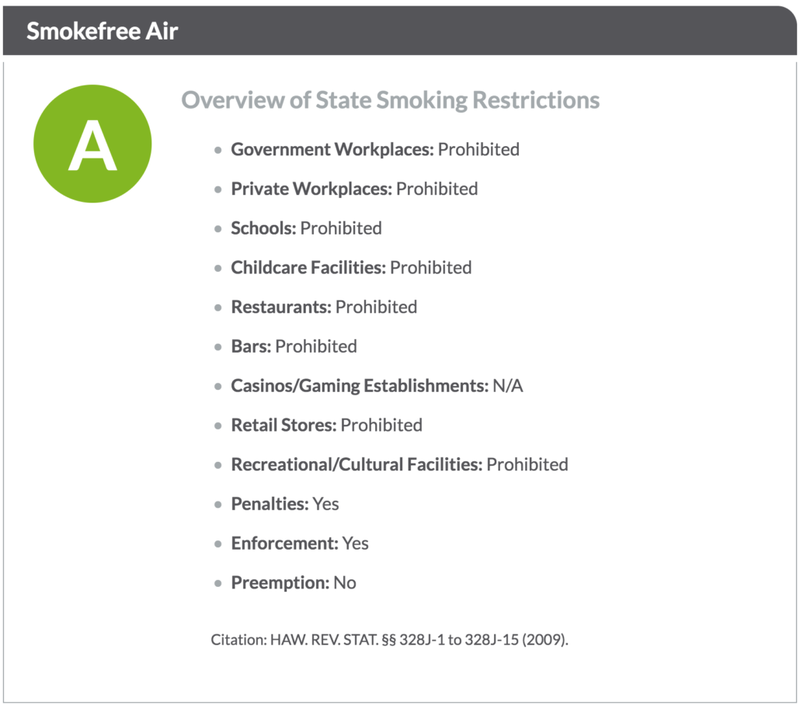 After years of protecting local communities with local ordinances, Hawai‘i passed a statewide clean indoor air law in 2006, making it the 18th state to go smoke-free. The law prohibits smoking in all indoor and partially enclosed public places, including restaurants and bars, office buildings, workplaces and public places. Hawai‘i is now recognized as one of the leading states actively protecting people’s right to breathe air free of tobacco smoke in workplaces and public places. Read Governor Lingle’s 2006 statement. Polling shows that nearly 8 in 10 Hawai‘i voters support statewide smoke-free beaches and parks. While public support is there, the laws are less than consistent across the islands. Currently, all parks and most beaches prohibit smoking. Smoking at bust stops is prohibited in Maui County and in Honolulu. Click below for more details. Hawai‘i County (Big Island) parks and beaches went smoke free in 2008, [Hawai‘i County Code 14-21b]. Expanded to include electronic smoking devices in 2015. 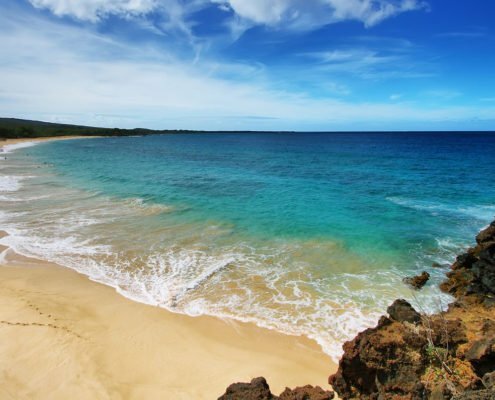 Maui county parks and beaches are now smoke free. [Maui County Code 13.040.20 amended by Ord 4120]. Currently, Honolulu and Maui County prohibit smoking at bus stops. We will be working with our coalitions on the Big Island and Kauai to protect all who take the bus from being subjected to secondhand smoke while waiting for the bus. All parks in the state of Hawai‘i are 100% smoke-free. The 2016 U.S. Surgeon General’s report on electronic cigarettes tells us what we all feared: e-cigarettes pose a serious threat to the health of kids and young adults. The report lays out why it is critical that we do everything possible to mitigate use by young people. As of January 2016, electronic smoking devices are now included under Hawaii’s clean indoor air law, which prohibits e-cigarette use just about everywhere that tobacco smoking is prohibited. In Hawai‘i, we will be working to increase the tax on e-cigarettes and the nicotine liquid they use. We will also be working to prohibit online sales to Hawai‘i residents and to address the reckless marketing strategies that mimic tobacco company marketing tactics aimed at youth. There is no safe level of exposure to secondhand smoke. Even a single breath of it can trigger a host of conditions and can be deadly to those with heart conditions. In vehicles, we know that secondhand smoke is so concentrated that it can be ten times as toxic, even with the windows down. While adults should be able to make choices about their own health, no one has the right to put a child’s health at risk. In Hawai‘i, the Big Island currently prohibits smoking in vehicles when anyone under 18 is present, and Kaua‘i prohibits it when anyone 13 and under is present. We have a ways to go towards protecting all our keiki statewide! Tobacco taxes are one of the most effective tactics that government has to reduce tobacco use and the impact it has on communities. As price goes up, consumption goes down. As consumption goes down, medical costs associated with tobacco use go down, more people live longer at a higher quality of life, and more funds are generated (via tobacco tax revenue) that can be invested into tobacco prevention and cessation, which is highly effective at preventing tobacco use among youth. Tobacco taxes are often referred to as a win-win-win policy. They are a HEALTH WIN. Every 10 percent increase in cigarette prices reduces youth smoking by about seven percent and total cigarette consumption by about four percent. They are a REVENUE WIN. Every state that has significantly increased its cigarette tax has enjoyed substantial increases in revenue, even while reducing smoking. And they are a POLITICAL WIN. National and state polls consistently have found overwhelming public support for tobacco tax increases. Polls also show that, when it comes to balancing budgets, voters prefer raising tobacco taxes to other tax increases or cutting crucial programs such as education and public safety. 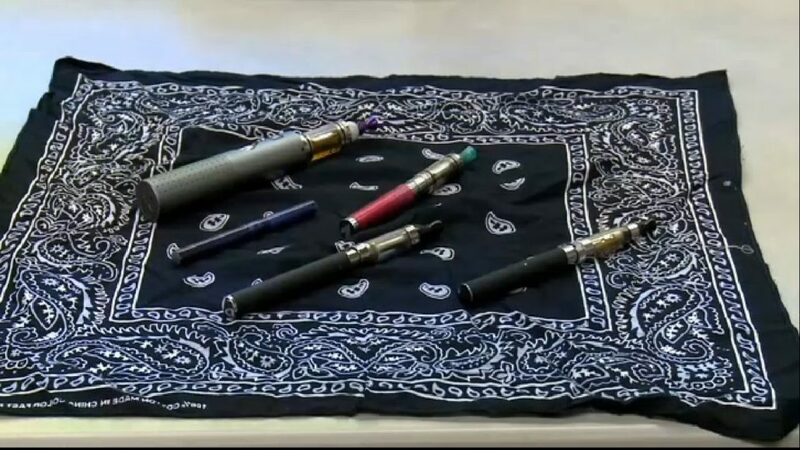 Currently, e-cigarettes and their “vape juice” are not taxed. “Other tobacco products” (smokeless, loose leaf, cigars, etc) are taxed at 70% of their wholesale price and large cigars are taxed at 50%. Part of our ongoing portfolio of work is to fix the disparity in the taxes on tobacco products.